But then a manager from your employer steps in and says, no it was just minor static electric shock, like the kind you get when you touch a doorknob after walking on the rug, just so the company isn’t on the hook for the associated medical costs with your treatment and doesn’t have to report the workplace injury to regulators. That’s what apparently happened at Tesla’s Fremont factory, according to a new report from Reveal from the Center of Investigative Reporting. This is not the first time Reveal has brought to light sketchy workplaces practices from the electric car company. 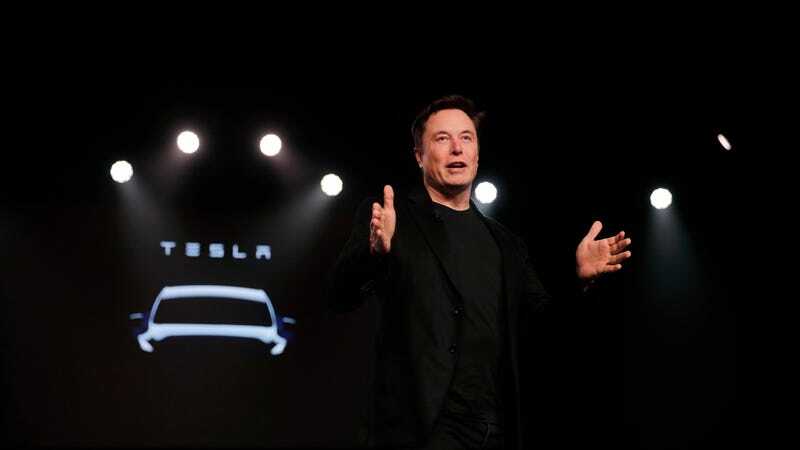 The news organization has previously reported on Tesla’s practices of keeping workplace injuries off the books and providing questionable medical assistance on-site before sending workers back to the line. That’s when another one of Besh’s physicians, Dr. Muhannad Hafi, stepped in and did as Tesla wished. Hafi was in a vulnerable position. He’d been publicly accused of sexually assaulting two female patients at previous jobs. The California Medical Board had moved to take away his license. “I have spoken again with Mr. Sharifi at Tesla and he informed that the forklift did not have electric current running,” Hafi wrote. “With that said, in my medical opinion, the patient does not have an industrial injury attributed to an electrical current.” He went so far as to say Casillas didn’t have any symptoms of concern. Anna Watson, a physician assistant who worked in the Tesla factory clinic in August, said she wasn’t allowed to give injured workers medical treatment or job restrictions, even when they clearly needed it. “Everybody leaves this clinic as first aid,” Watson said she was told. Employers don’t need to provide a claim form for injuries that require only first aid. Tesla’s goal is to treat the patient, not the claim. When an employee seeks evaluation for a claimed work-related injury, Tesla takes every step to ensure a workers’ compensation claim is opened through our Workers Compensation carrier. This is inclusive of all first aid claims as well. We do this not only to support our recordkeeping practices, but also to ensure that our employees are given every opportunity to seek treatment and additional medical evaluations. Tesla does not make decisions to approve or deny workers’ compensation cases—that decision is left to the workers’ compensation carrier. Tesla’s workers’ compensation claims are subject to the medical opinion of the provider completing the evaluation. If an employee disagrees with any medical opinion, Tesla ensures the employee is allowed every opportunity to seek additional medical care through the state-mandated workers compensation system. Not only is Reveal not an extremist organization, it’s about as committed to rigorous investigative reporting as you’ll find these days. Last year, it was nominated for a Pulitzer prize in investigative reporting. Anyways, you should read the entire report, and all of Reveal’s other reporting on Tesla, because it’s possible for a company to have the laudable goal of ushering in an environmentally sustainable future while simultaneously making its employees’ health secondary to corporate profits.